Two Sartell students are studying abroad during the fall semester 2018 through the Center for Global Education at the College of St. Benedict/St. John’s University. Dean Amundson, son of Charmin and Ben Amundson, is studying in the Austria program. Amundson is a junior social studies/secondary education major. Matthew Immelman, son of Pamela and Aubrey Immelman, is studying in the Chile program. Immelman is a senior economics/hispanic studies major. The Chile program is hosted by Universidad Adolfo Ibañez, a private university in Viña del Mar, a city of 350,000 residents. The campus is situated in central Chile, 70 miles west of Santiago, the country’s capital. Two Sartell students graduated spring semester from North Dakota State College of Science in Wahpeton, N.D.
Brooke-Lynn Grasswick received an associate’s degree in health information. Cole Moritz received an associate’s degree in welding technology. 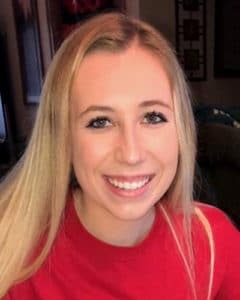 Sartell High School volleyball player Miah Gessell has signed a letter of intent to play volleyball at North Dakota State College of Science in Wahpeton. Gessell is a four-year starter for the Sabres and a two-time all-conference selection. She was voted best offensive player on her team and was in the Top 10 of the conference for serving and hitting.